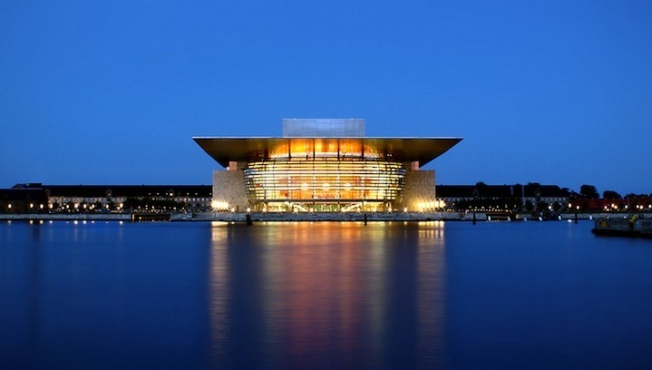 The Copenhagen Opera House is being called Larsen's biggest failure. Henning Larsen was known throughout Denmark before (and after) he died last month at age 87 for his greatest building, the Copenhagen Opera House, which is also being called his biggest failure, reports The Atlantic. The building, standing at fourteen stories and half-a-million square feet, making it one of the city's largest buildings, is positioned across from the Amalienborg Palace, and some locals are saying that it's rather hubristic. People have called it a rip-off of Jean Nouvel's conference center in Lucerne, and compared it to a fly, the grill of a '55 Pontiac, an alien mothership and a helicopter landing pad. Larsen himself said he thought it looked like a toaster. Still, Larsen is remembered for his twelve-plus architecture awards, and being one of Denmark's seven great architects. And for better or worse, his iconic Opera House has changed the city skyline. Read the full story on The Atlantic.